Sam picked up one of Becky’s crayons and held his hand out to Kayla. “How do you sign blue?” he asked, looking directly at her. Her heart thumped. She wanted to lean back but couldn’t. She should get up and walk away. Somehow, she couldn’t do that, either. “There are more signs than just colors, you know.” Her voice cracked on the last word. He smiled. He knew just what he was doing to her. And darn him, he was enjoying it. She pointed her index finger at herself. She hesitated then held both palms up and crooked her fingers as she pulled her hands toward her body. He leaned even closer. “And how do you say a kiss?” he whispered against her ear. NEW! 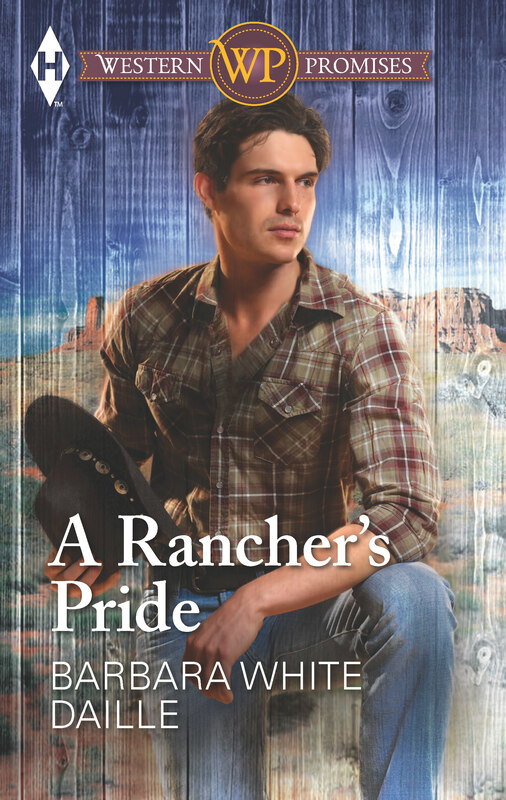 A Rancher’s Pride is now also available in a special Larger Print reissue, exclusively from Harlequin. Click here FMI and/or to order.